Janice Surprise Heyear, televangelist with a soul finds herself at the Spiritual Inclusion Symposium in San Francisco, CA on September 10, 2011. She works her way through the crowd seeking believers and thinkers, movers and shakers. Telling stories of her Southern Roots and trying to build a bridge. Can a Southern Televangelist find connection in the Bay Area and still keep her faith in the words written in red? SRTC Continues it’s journey down the railroad tracks of life with another addition the family tree of Marion Peallin and Red McNeil, two characters last seen in DEATH BE NOT LOUD! A Bay Area premiere production that received San Francisco Chronicle Critic Lily Janiak’s Critic’s Pick and was named a Theatre Bay Area Recommended Production. WHEN YOU ARE CALLED is written by Award winning Susan Jackson and Diana Brown. This is a first time writing collaboration between Southern Railroad Co-Producers Jackson and Brown. 1062 Valencia Street, San Francisco CA. Southern Railroad's Co-Producer Susan Jackson New Play HUDSON'S WIFE, Finalist in 3Girls Theatre Company's Salon Series. Part of 3Girls Theatre Company's 2018 New Works Festival. JULY 30TH, 7:30 PM STAGED READING: HUDSON’S WIFE BY SUSAN JACKSON. 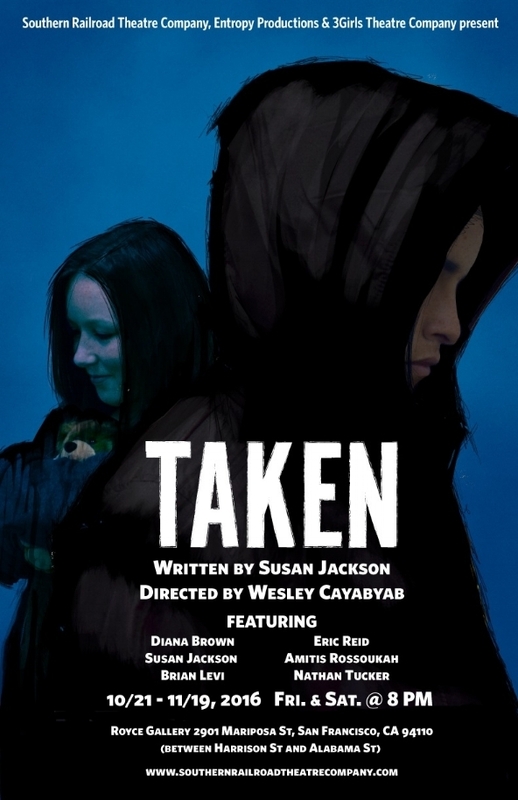 Ambition reigns in this provocative Hollywood drama about betrayal, secrets, and love. After Rock Hudson dies, his reclusive ex-wife is pursued by a writer determined to learn the truth about her marriage. Did she knowingly conspire with the studio to keep Rock in the closet? Directed by Louis Parnell. Salon Series Finalist. 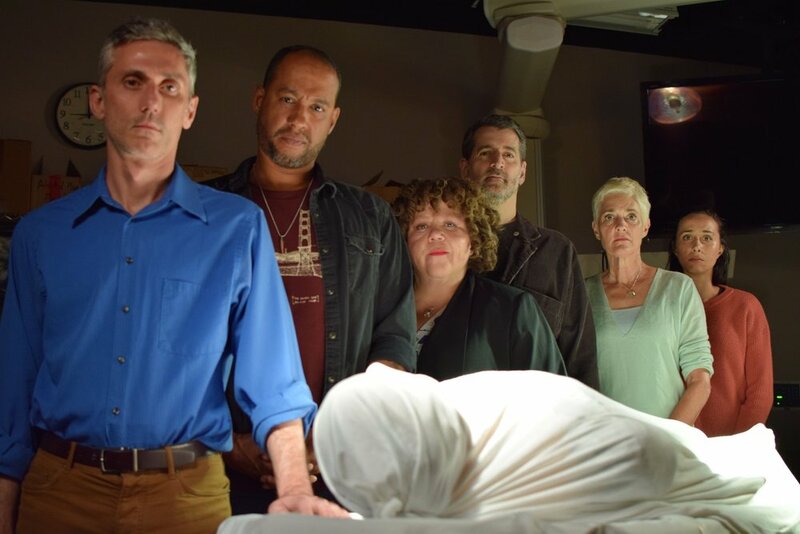 We were so excited to bring the West Coast premiere of Susan Jackson's DEATH BE NOT LOUD! home to San Francisco. The show was been re-imagined with a set designed just for the SF run and we could hardly wait to share it with you! The San Francisco Chronicle theater critic, Lily Janiak chose us among her "Theater Picks" of the week and we couldn't be more thrilled! OUR CRITICALLY ACCLAIMED PRODUCTION IS COMING HOME! In the summer of 2016, we took Susan Jackson's new play, DEATH BE NOT LOUD! to the D.C. Capital Fringe Festival for it's world premiere. We earned a 'Best of Fringe' title and critical acclaim. Now we're back in San Francisco, partnering with Entropy Productions and 3Girls Theatre Company to bring the West Coast Premiere of DEATH BE NOT LOUD! to the Phoenix Theatre in San Francisco's Union Square Theatre District this November 3-18. 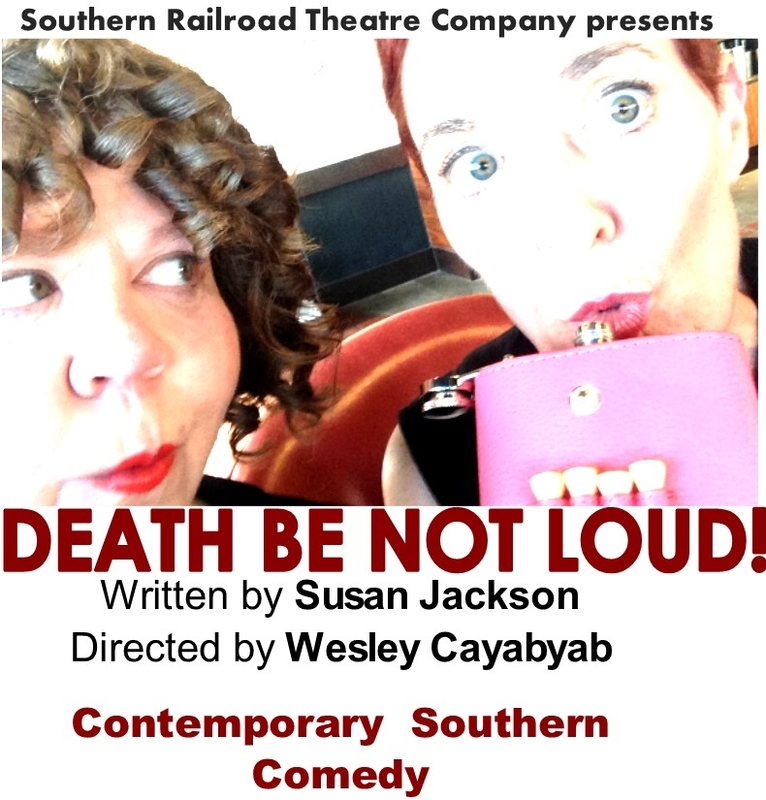 DEATH BE NOT LOUD is Directed by Wesley Cayabyab and features Diana Brown as Red and Susan Jackson as Marion. It's festival season in the San Francisco Bay Area and Southern Railroad's artists are busy! Co-producer Diana Brown is appearing at the 2107 San Francisco Improv Festival, Co-producer Susan Jackson's new play MIRACLE LAKE is in 3Girls Theatre Company's 2017 New Works Festival. Jackson's MIRACLE LAKE was selected from 3Girls Salon Reading Series along with A J Baker's Disruption to be presented at the 2017 New Works Festival. Diana Brown will appear with two improv ensembles at the 2017 San Francisco Improv Festival. On Thursday. August 17 @ 9:00 pm, she appears with the unapologetic all lady troupe, #SORRY NOT SORRY. On Friday, August 18 @ 7:30 pm she plays with her improv partner Dan Wilson in their duo Bingewatch. #Sorry Not Sorry Wanna see what unapologetic FIERCE, TALENTED, BOLD, INTELLIGENT, BRAVE improvisors who just happen to be women looks like? #SORRY NOT SORRY performs the Harold while sporting a fierce red lip. Some of us like to wear heels on stage, too. We like to hear them stomp across the stage as we edit scenes. We're multi-talented like that. Watch us, IF YOU DARE!!!! Bingewatch - Improv you can't get enough of. Bingewatch (Diana Brown and Dan Wilson) create the lost pilot of a show that you have never seen but would watch the hell out of. Every show tackles a different genre, from police procedural to soap opera to something awesome that would totally get canceled by Fox in its first season. We're proud of our collaborators! Currently, Southern Railroad collaborating artist Eric Reid is appearing in African American Shakespeare Company's production of August Wilson's Jitney! “We found this family drama to be a compelling exploration of loss and the way we react when the things we love are taken from us." "Under the direction of Wesley Cayabyab, the two recognizable and credible characters are comfortable in their own skin..."
"Susan Jackson’s new play, Death Be Not Loud—produced by the Southern Railroad Theatre Company and billed as “a contemporary Southern comedy”—is a sweet reflection on love and loss, featuring two gifted actors..."
Bringing the Southern Experience to the Bay Area and Beyond, One Hush-Puppy at a Time.